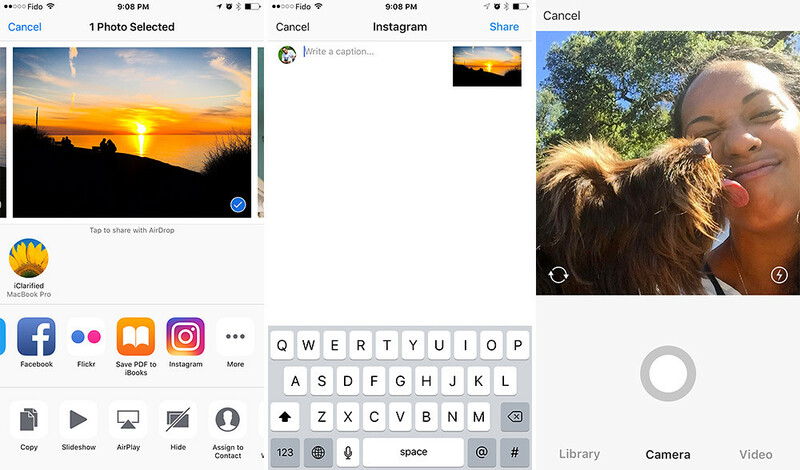 Instagram has just released a new update to the app which brings share extension to the iOS platform. This allows users to share photos and videos directly to Instagram without the need to open the app. To do this, simply launch an app like Photos, and then tap the ‘share’ button and scroll to the far right. Then tap ‘More’. Toggle Instagram on and the ‘share to Instagram’ option will appear in the share sheet where sharing photos is supported. The new extension also lets you write your preferred caption to publish along with the photo or video. Note that with this, you won’t be able to use any of the Instagram filters since the post is not published via the Instagram app.